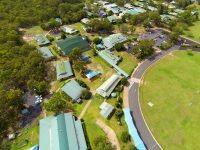 Fraser Coast Anglican College welcomes groups of students for short term Study Tours of one to three weeks. During these tours, visitors have the opportunity to have a cultural and educational experience through various activities and excursions. Each Study Tour is tailored to the requirements of the visiting group – a personalised itinerary is developed featuring the activities that are requested, including ESL (English as a Second Language) lessons, classroom immersion and excursions. 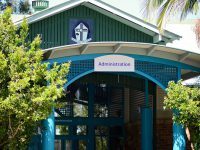 Many Study Tour groups visit Fraser Coast Anglican College to improve their English communication skills, they have lessons with our experienced ESL teacher, join our classes and spend time with their FCAC student buddies, who volunteer to support the visiting students while they are on campus. 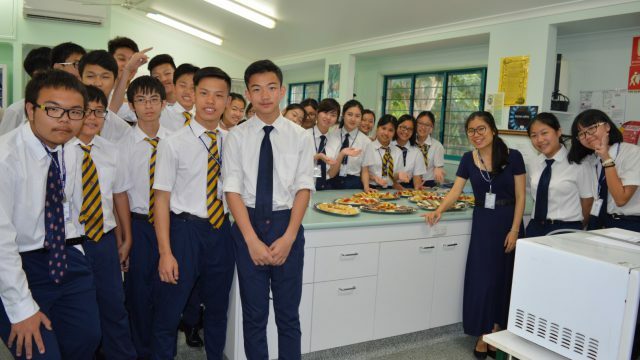 The friendships developed have a lasting positive effect on both the International and FCAC students. ESL is the focus of most short term study tours and language-based learning is integrated into all College activities. 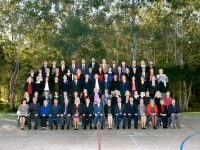 Our experienced ESL teachers develop personalised programs to suit the unique requirements of each study group. Our ESL lessons encourage active participation by all students to enhance English language skills, to encourage confidence as they embark on their learning journey. 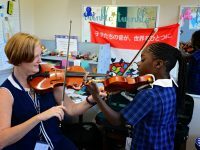 This involves interactive classroom activities including conversations, dancing and games which requires all students to step outside their comfort zone. 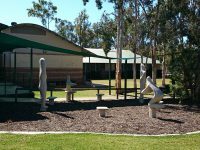 These lessons are conducted within the College classrooms and often we take our lessons out into the bushland setting, which is part of the learning environment on the College campus. 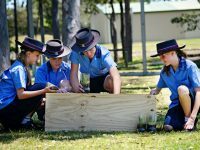 Some Study Tour groups are seeking a cultural experience and undertake activities including damper making in a bushland setting, Indigenous Australian presentations, camping, outdoor activities and excursions to Fraser Island. During the months of July to September, some groups experience Whale Watching season, spending a half day on Hervey Bay’s magnificent waters and watching the whales play in the stunning marine environment. There is an array of other exciting activities that visiting Study Tour groups can undertake – horse riding at Susan River Homestead, meeting native wildlife at Fraser Coast Wildlife Sanctuary and learning about Hervey Bay’s amazing natural environment at the Discovery Sphere. Study Tour groups are accommodated by our dedicated homestay families who provide a warm and caring home to our guests, as well as meals and transportation to and from school and excursions. 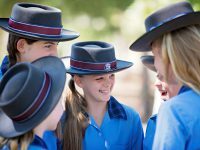 To enquire about Study Tours at Fraser Coast Anglican College, please contact [email protected].